Julian Day of Super Critical Mass led 100 2nd year Architecture students studying the Design of Performance venues in a series of acoustic workshops that culminated in a sound art performance in the iconic Frank Gehry designed Chau Chak Wing Building. 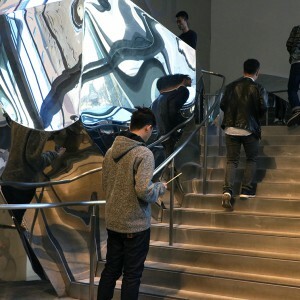 The students flooded the public spaces of the Gehry building with a subtle yet rich sound field, following simple social instructions that resonate with the building’s diverse materials and porous design. The performance was followed by a panel discussion with artist Julian Day, Lecturer School of Architecture Joanne Kinniburgh, musician and Director of NOW now Festival Claire Cooper. Facilitated by ABC broadcaster Stephen Adams. Super Critical Mass led a sound exploration workshop with students studying the design of performance venues in the Faculty of Architecture. 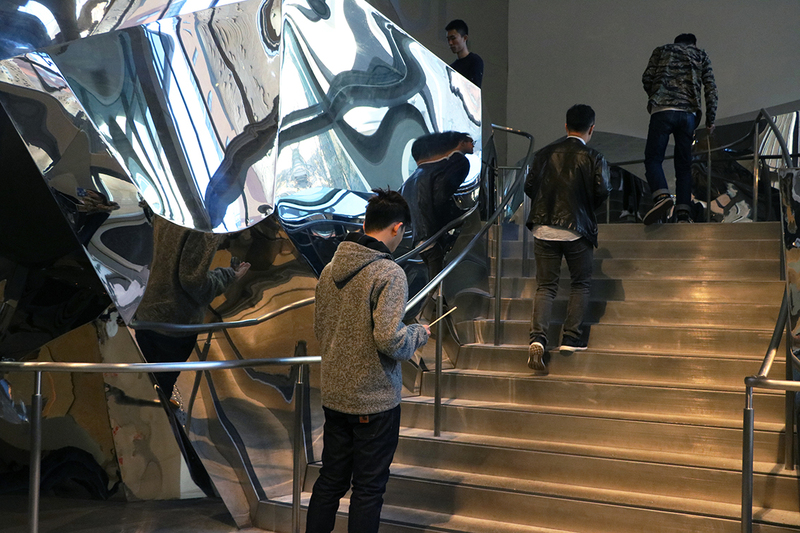 They experimented with the sonic performance of a variety of objects in three separate spaces, the DAB building, the Goods Line and the iconic Chau Chak Wing Business School designed by Frank Gehry. View a short Social Media video here. UTS ART Live is a series of temporal public performance events curated by Alice McAuliffe, Coordinator Learning and Projects, that bring together professional artists and UTS students to collaborate and produce art events on campus.